00:13 Shara sofar: can't we have live ones first? 00:17 Shara It's not tiny at all. 00:19 sofar I don't intend to fix mtg, or fix "here's how to develop subgames"
00:20 Shara Here's me been asking for people to help work on just that sort of thing as well. 00:22 Shara sofar: was that for mobs? 00:23 Shara sofar: no offence, but I honestly wonder why you are even an MTG dev given your feelings on it. 00:25 Shara Which do you want to kill? 00:26 Fixer sofar: is not that NIH? 00:27 sofar the client has "games"
10:10 sfan5 " But Minecore will not be a small "fork" that branches directly off of Minetest. We are taking it into separate development to make it something of its own, without forgetting about its origin, -which is Minetest. Ours will not be connected to Minetest as a traditional fork in its final product. " 13:24 tenplus1 what's thi about a new minetest ? 13:26 tenplus1 did someone fork minetest again ? 13:26 Mr-Pardison I didn't stick a fork in it. 13:26 Mr-Pardison that's just a cruel thing to do. 13:27 Mr-Pardison do you have proof? 13:28 Mr-Pardison it's innocent until proven guilty, not the other way around. 13:28 tenplus1 hi ruben... so it's not a new engine, just a [game] file ? 13:30 Mr-Pardison tenplus1: why not kindly ask them to contribute to fixing stuff that is wrong with the game and/or engine itself before trying to fork either of those? 13:39 Mr-Pardison different gravity level in space? 13:40 Mr-Pardison you do know that 0G isn't an actual thing as there is still microgravity in space. 14:00 Fixer tenplus1: what amiga you had? 14:00 tenplus1 I've had Amiga 500 and A1200 (build into tower with PPC 166mhz board with Blizzard 8mb 3d gfx) w00t! 14:01 Fixer tenplus1: did you have hard drive? 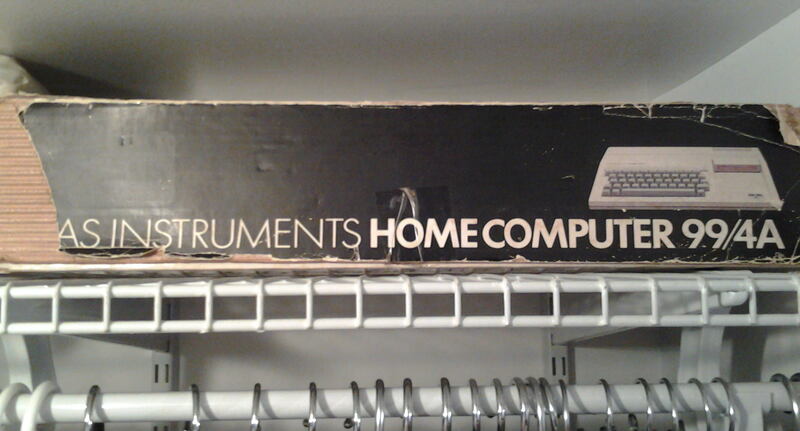 how you work with that workbench, amiga has only 1 3'5" is not it, so workbench floppy needs to be in all time? 14:03 Fixer tenplus1: so you load workbench... what now, how you ran programs if you have no IDE or second floppy? 14:03 ShadowBot https://github.com/minetest/minetest/issues/6722 -- Add more settings to the pause menu. 14:04 Fixer tenplus1: is not workbench loaded into RAM, and then you can switch floppy? 14:04 Mr-Pardison ThomasMonroe: wouldn't it make more sense if when sound is muted that the sound slider would go to 0 and then when un-muted return back to where it was before? 14:06 Fixer tenplus1: so you can fit workbench with some program on one floppy? 14:07 Fixer tenplus1: but stuff like deluxe paint can be loaded of floppy even without workbench? 14:10 ThomasMonroe hmm maybe Mr-Pardison, but that would have to use a global variable, which I don't want to do. 14:11 Mr-Pardison then just make it go to a lighter shade of grey? 14:39 tenplus1 you having issues with your IRC client Thomas ? 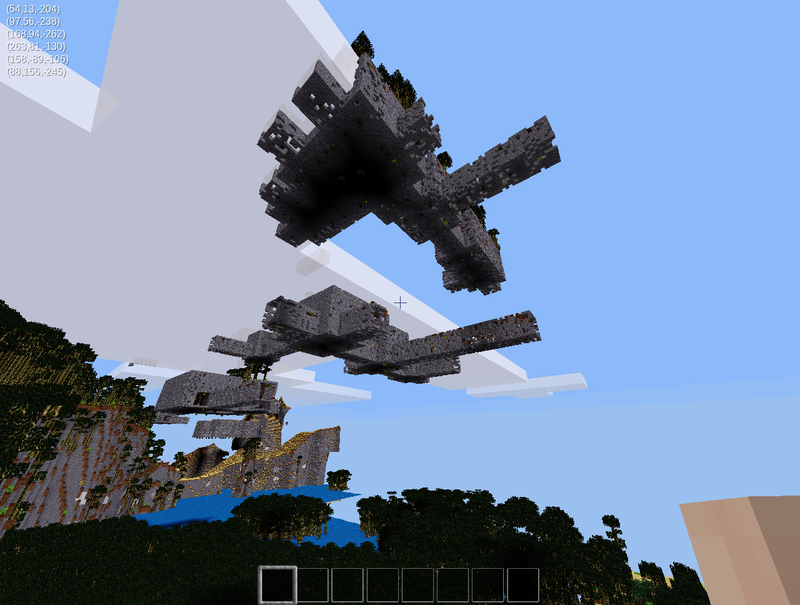 14:42 ThomasMonroe hey tenplus1, you ever played with the MT shaders? 14:44 tenplus1 what kinda things did you tinker with ? 14:44 tenplus1 heh, predator vision ? 14:53 tenplus1 how do they fit? 14:54 Mr-Pardison welcome to the world of those who can see better due to glasses. 15:07 Mr-Pardison [ff] now that we're in [off] mode, anyone have any ideas on how to repair the root file system of fedora from rescue mode where you have access to GRUB? 15:14 Mr-Pardison any advice on what my partitions should be and number of them? 15:14 tenplus1 do you install many apps other than default ??? 15:14 Mr-Pardison I haven't installed anything other than MT. 15:15 Mr-Pardison should I make a partition for recovery in the event that this happens again? 15:16 Mr-Pardison boot int oit from the media then transfer them over. 15:19 IhrFussel Guys does MT *require* a drawtype for nodes? Or does it have a default? 15:19 tenplus1 it defaults to "normal"
15:40 IhrFussel What's the conf setting again to exclude that mod? 15:40 VanessaE why do you need os.execute? 15:41 VanessaE isn't there already an API call to do that? 15:42 VanessaE so, you don't need os.execute. 15:43 VanessaE don't let him use an insecure mod. 15:44 VanessaE so yell at the modder who made it. 15:45 Mr_Pardison well, that's on you as you ordered the wrong kind. 15:47 tenplus1 what do they need to create a folder for ? 15:47 Mr_Pardison like a dead whale that has washed up on the beach. 15:49 VanessaE do you also scrutinize every line of code every time you update? 15:49 IhrFussel I only update mods rarely...what do you expect with 175 mods? 15:49 VanessaE I expect "no". 15:51 VanessaE have you never heard of the "Underhanded C Contest" ? 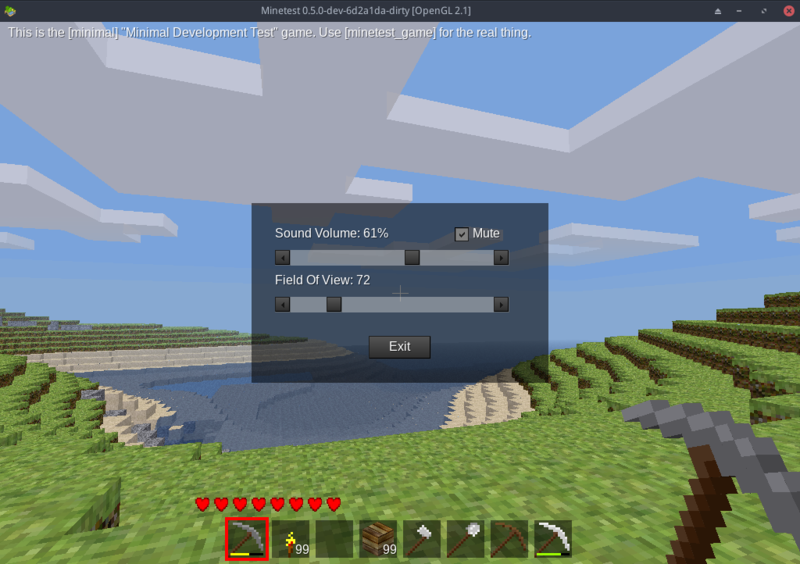 15:52 IhrFussel minetest.mkdir() only works on linux? 15:52 VanessaE tenplus1: it's a contest to write malicious programs that look as innocent and/or obfuscated as possible in source code. 15:54 VanessaE tenplus1: I imagine there's a lot more than people think, what with all the telemetry Win10 sends back to MS.
15:55 VanessaE keystrokes, I kinda doubt, but screenshots I'm sure. 15:55 twoelk should I wear a mask and gloves when usingt w10? 15:55 VanessaE twoelk: along with an air gap, in a soundproof room. 15:58 VanessaE IhrFussel: in any case, turning off mod security is equivalent to taking off your seatbelt and defeating your airbags. Don't begrudge yourself a safe environment if it doesn't compromise or impede your use of it. 16:00 VanessaE just because you think you can, doesn't mean it's logical to turn off the extra layer of protection if it isn't getting in the way. 16:01 VanessaE IhrFussel: like I said, if a mod is using os.execute, the coder's doing something wrong. 16:05 VanessaE isn't that krock's site? 16:05 Mr_Pardison IhrFussel: I agree. 16:06 Mr_Pardison I don't leave any of my pets out. 16:07 twoelk oh, is King Arthur's Land still online? 16:07 VanessaE guess he didn't pay his bill. 16:35 tenplus1 got any distros in mind ben ? 16:38 tenplus1 i3 is similar to amazing minus lua? 16:47 tumeninodes : / really MinetestBot? 16:47 IhrFussel Anyone in here knows if I can make "last" output the hostname not just IP? 16:50 tumeninodes I had seen someone was reviving SymphonyOS (which I loved) yet all the links are dead and there has been nothing since maybe 2014? 16:57 rubenwardy do you have worldedit installed? 17:01 VanessaE yup, I know. 17:01 benrob0329 rubenwardy: in what way? 17:08 Mr_Pardison what's this about rockets? 17:09 tenplus1 would it be possible to put a client into a FAST loading mode to quickly load/generate map without having say abms/entities etc getting in the way ? 17:09 Mr_Pardison have to hop from here for now. 17:31 Raven262 Actually I hate that I have to remove them. 17:31 Raven262 Yea, they're meant to be underground. 17:32 Mr_Pardison is that gravel? 17:32 tenplus1 built in dungeons ? 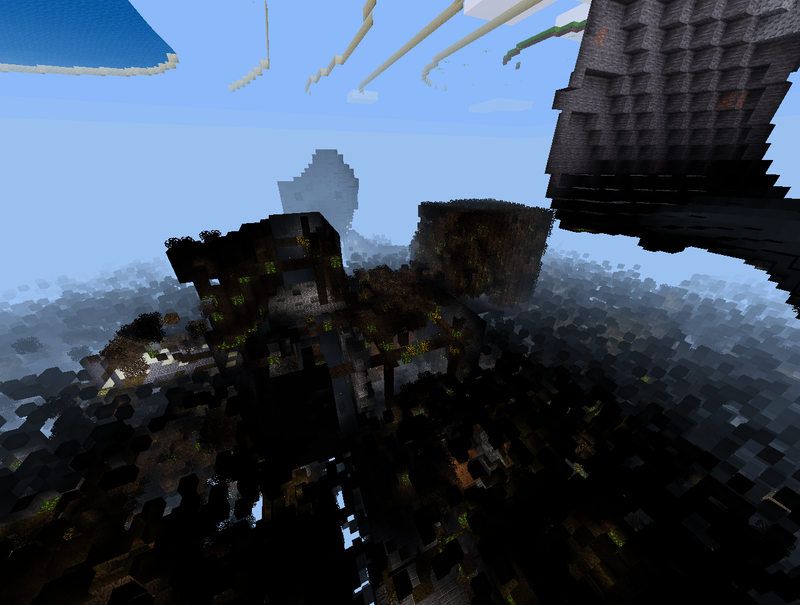 or voxelmanip version ? 17:34 Mr_Pardison no clue but for production quality images, turning off the HUD and chat are good. 17:35 tenplus1 have the recent HUD issues been fixed ? 17:38 twoelk Raven262: have the Borg arrived? 17:40 Raven262 twoelk, Actually now that you mention it, it does look quite like their arrival is at hand. 17:43 Raven262 One dungeon system per map chunk, should be enough. 17:48 twoelk looks like lots of underground plants involved? 17:56 Raven262 Underground root system... but I am missing some more trees on the surface! 17:57 Raven262 Well, that has to be done in another mod I'm afraid. 18:38 Mr_Pardison wb all of you. 19:04 Megaf rubenwardy: Can you please try to login to your kimsufi? 19:06 Megaf Wanna giveme 5 USD? 19:06 rubenwardy 20 minecoin piece? 19:07 Megaf rubenwardy: do you have auto billing for your dedi? 19:35 Mr_Pardison fireflies part of default now? 19:39 Shara Spoiler: the fireflies are the AI that will doom us all! 19:40 twoelk uh? will the fireflies take jobs away? 19:41 Shara twoelk: is your job sitting inside a bottle to provide light? 19:41 Mr_Pardison it might be. 19:41 Shara We could have an issue then. 19:42 Mr_Pardison my job is to take care of those who violate the rules. 19:43 twoelk or was it fun spoilers? 19:47 Megaf Jordach: do they have ultra cheap dedicated like kimsufi? 19:48 tenplus1 which do you think is better for those, intel or arm ? 19:49 Mr_Pardison ARM it is for a lappy. 20:02 tenplus1 coudlnt you compile a linux distro to use it all ? 20:06 Megaf is that an Raspberry 3? 20:12 Mr-Pardison Megaf: you must be pulling my arm with that. 20:14 tenplus1 does your weather mod affect fps a lot ? 20:15 tenplus1 20 nodes or mapblocks ? 20:16 Mr-Pardison doing so now. 20:16 Mr-Pardison at least I will when the media loads. 20:18 Megaf tenplus1: why not? 20:20 tenplus1 omg, you using HD texture pack ? 20:29 Mr-Pardison i nterms of the mods. 20:29 tenplus1 how many mods you running ? 20:31 Mr-Pardison for the halibut? 20:41 tenplus1 shoudl I make hides/leather burnable as fuel ? 20:42 Megaf Mr-Pardison: Did you take any saplings from the ground? 20:44 Mr-Pardison from where you had dug them? 20:51 Mr-Pardison nerzhul: u see the dash of the roadster? 21:24 Megaf Fixer: really? Wasnt it tomorrow? 21:25 Megaf xerox123_: xerox123: are you on Slack? 21:32 Megaf Welcome to Scaleway! 21:37 Megaf man, they actually DID LAUNCH A CAR IN SPACE! 21:40 nerzhul Megaf are you a scaleway user ? 21:49 sofar who says it's floating? 21:53 Fixer it is landed? 21:53 Fixer or in water? 22:06 Megaf sfan5: where is MinetestBot located? 22:08 Megaf celeron55: then Mars? 22:09 Megaf sfan5: netherlands? france? 22:36 tumeninodes how perfect was that?! 22:37 Megaf Why fussel keeps quiting after talking to me? 22:44 tumeninodes And he shall be Elon, and he shall be a good man.